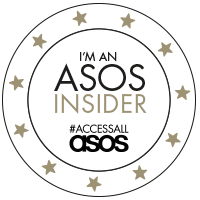 Earlier this month I applied for Access All ASOS, and today I found out I’d been accepted, YIPPEEE! This has literally made my week! I really didn’t expect to be chosen! 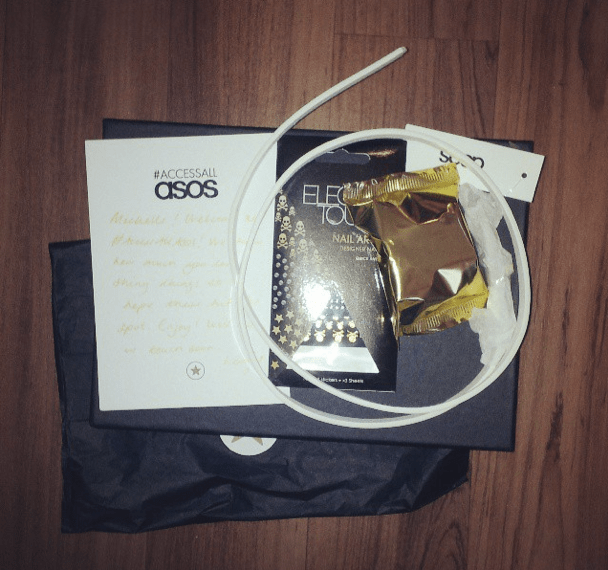 I received an email today to say I had been accepted, and then came home to find a parcel waiting for me with a hand written note, a fortune cookie, some nail stickers and a holographic belt! Awesome! Congratulations to everyone that was accepted! If you wern’t lucky enough to get through this time, or have not yet applied, applications are now closed for this year but you can find out more info, and apply for #AccessAllASOS 2014 here. Next Post French Connection Electric Circus Dress OOTD!